There will be a graveside service at the Nucla Cemetery in Nucla, Colorado on September 15, 2018 at 11:00 a.m. with a potluck dinner to follow at the First Park Community Building in Nucla. In lieu of flowers, memorial donations may be sent in Frank’s name to the Nucla-Naturita Ambulance, P.O. Box 911, Nucla, CO 81424. 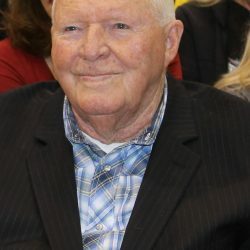 Frank E. Morgan, age 89, died peacefully at his home with his loved ones in Nucla, Colorado on September 8, 2018. Frank was born July 28, 1929 at the hospital in Telluride, Colorado which later became the Telluride Museum. Frank attributed his getting old to the fact that he was born in a museum. He was the son of Frank L. Morgan and Mary E. (Ainsworth) Morgan of Nucla, Colorado. Frank spent his growing up years helping on the family sheep ranch in the Nucla area and on the Little Cone. He attended school in Nucla at various locations until a real school house was built and laughed about how in second grade his seat was a wooden apple box which he fell through. In 1948, Frank graduated from Nucla High School. He joined the Marines in March 1951 and served in the Korean War until March 1954 when he was honorably discharged. In 1955, he married the love of his life, Mary Lou Hibbert, also of Nucla and the couple enjoyed 61 wonderful years together before Mary Lou passed away in 2017; leaving a gaping hole in Frank’s life. For a while after their marriage, Frank worked for VCA; the one and only time that he was not self-employed on the ranch. He joked that they were really “living high on the hog” then with a steady paycheck coming in. He later returned to the family ranch where he was needed. He and Mary Lou owned and operated the sheep and cattle ranch and later a hay farm in the Nucla area for most of their 61 years together. It was here that they raised their four children. Frank was an avid reader and spent evenings with a book in hand. He had a great desire to learn about things and if something piqued his interest, he had to learn more. It was not uncommon to see him read the encyclopedia and grab the atlas at the mention of a place he did not know. He also enjoyed walking, listening to music, visiting with people and watching his grandkid’s activities and encouraging them to learn all they could. 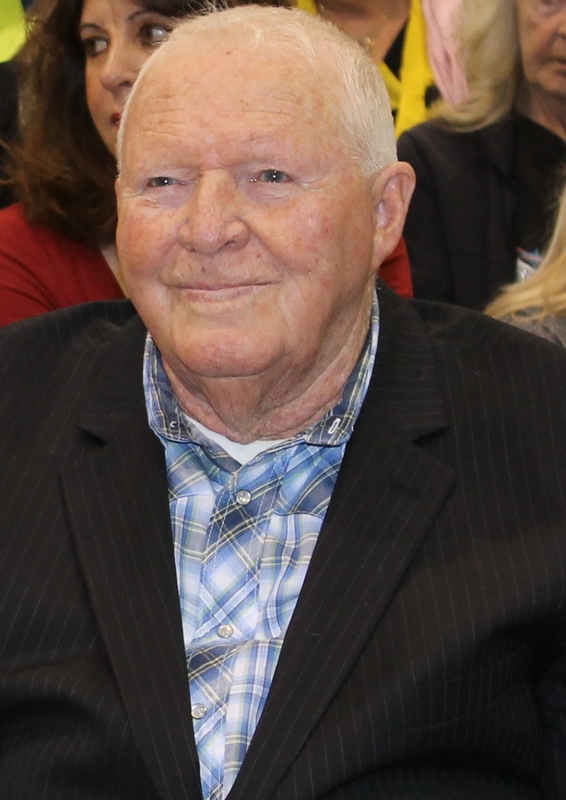 Some of his fondest memories were working with the school kids as a volunteer at the elementary school and helping coach middle school girls’ basketball. Losing his sight was the greatest hurdle of his life because it ended most of the activities that he loved. Frank is survived by his sons, Michael Morgan (JoEllen Turner) of Nucla and Byron (Tandie) Morgan of Grand Junction; daughters, Patricia Morgan and Lori McKinney (Kent Stricklan) both of Nucla; brother, Daniel Morgan of Redvale; sister, Grace Porter of San Angelo, TX; 10 grandchildren; numerous great-grandchildren and a number of other relatives. He was preceded in death by his wife, Mary Lou Morgan; parents, Frank L. and Mary E. Morgan; and sister, Rosemary Morgan.